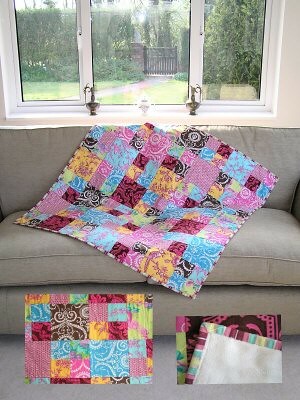 The Weekend Quilt from Daisy Chain Designs. I must borrow a sewing machine and make this! Just as soon as I can afford the kit that is! It’s backed with some lovely velour-y type fabric too. I want to sew again!